In the Halo series, while Spartans have more customizable armor sets, ODSTs and Marines tend to have more personal touches, similar to the Colonial Marines in Aliens. 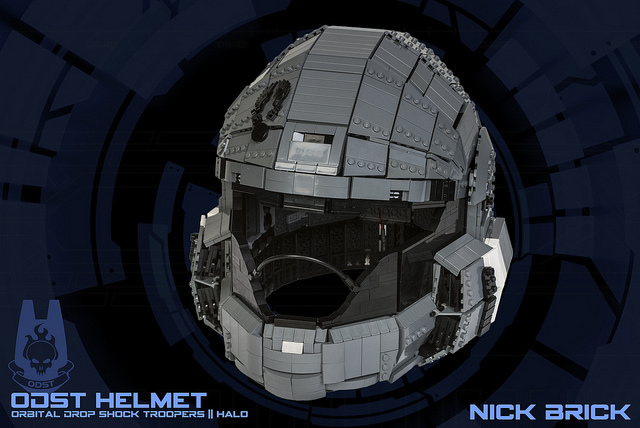 While the personal touches on the current version of my ODST helmet are limited to the UNSC logo on the dome, blue glow on the heads-up display, and my blood type on the rear, I might make some changes to make it more personal. Changing the color of the center stripe, adding skull artwork along the chin guard, or some in-universe writing like “Remember Reach” could work. For now, I’m happy with what I have built. 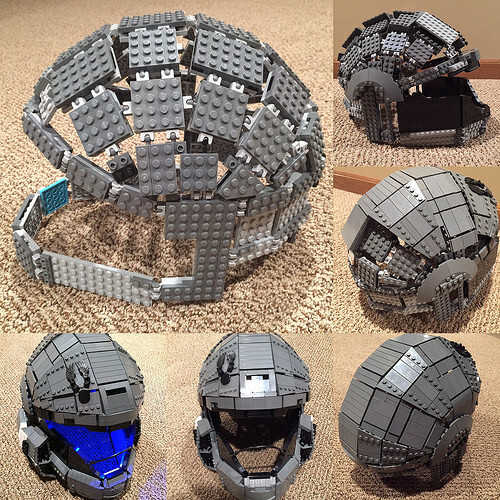 The first helmet frame I created in 2011 used joints found in Exo-Force sets such as this. The parts used were thick, hard to hide, and didn’t work when it came to the dome on top. Clicking hinges like this were the idea I tried out in 2015, and while it worked for the general shape of the dome, filling in the gaps with hinges this imprecise was too difficult. What worked were ball-and-socket joints introduced in the Mixels line, like this. These joints have high friction and high precision, allowing for the exact angles I needed to fill gaps to be possible. A video seems to be the best way to present this project. Watch a 360º view of the helmet and see how easily the helmet slides onto my head in this short YouTube video. 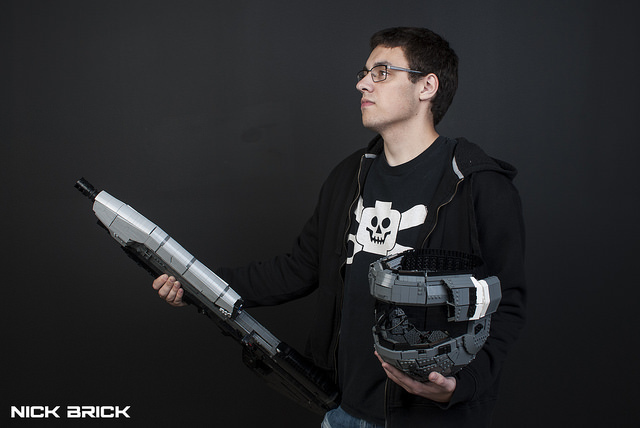 See more photos of the ODST helmet on Flickr.